A major furniture retailer that prides itself on designing and building the high-quality merchandise it sells, ofers a unique, interactive shopping experience in its stores. However, the company needed to change its monitor supplier quickly before a major sales campaign. 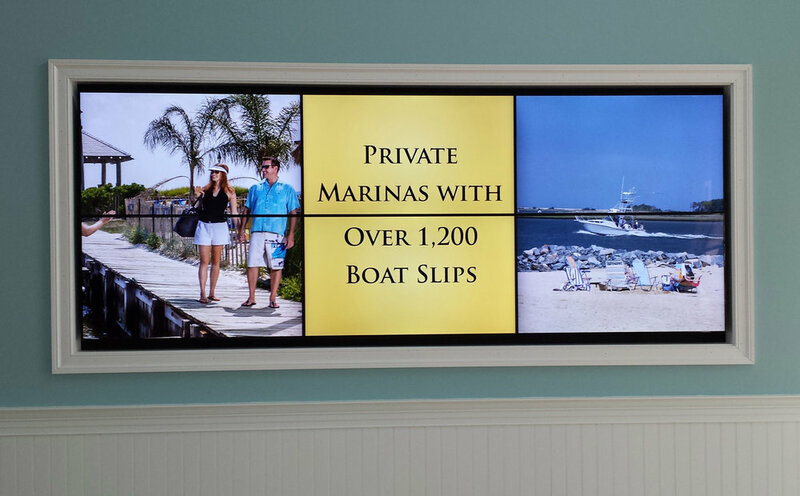 Sharp professional LCD displays, coupled with touch overlays from Candela Display Systems proved to be the right solution. It is rare in today’s market that a furniture retailer designs and builds most of what it sells, and offers custom furniture for its customers. In order to keep the brand separated from retailers that offer mass-produced, lower-quality products, one company’s uncompromised level of craftsmanship is reflected in a unique customer experience. The furniture company prides itself on providing customers the ability to modify the merchandise they are purchasing through specialized software at a monitor equipped with a touch overlay for interactivity. Customers can choose fabric and stain color, types of upholstery and other options. However, the touch overlays that were originally used were not reliable.